The Tastiest Burgers in Town!!! GRAB THE BEST FOOD IN LA !!! 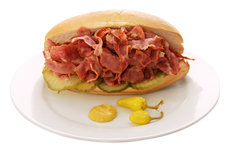 Our hot pastrami sandwich smoke to juicy perfection and made to your personal specification makes people to send our pastrami sandwich to loved ones for more than 58 years. Our customers voted our 1/4 pond beef patty toped with our special sauce, lettuce tomato and pickles on a toasted bun to be the best burgers in East LA. An exclusive recipe give you real Mexican taste to all our dishes from burritos, tacos or taco-dogs. Come with your family of friends and enjoy an unforgettable moments with Toms Burgers. Anytime you visit Toms try this all-in-one breakfast sandwich. I can feed everyone by stacking ham, scrambled eggs, onion ,cheese and tomato inside a loaf of warm bread. For more than 58 years customers have been driving to Tom’s to try Toms famous TacoDog and to enjoy its relaxed patio seating.We are grateful to our loyal patrons, who have watched Toms restaurant turn into a East LA legend. Tom’s Burgers is a real veteran of Los Angeles restaurant scene . For more than 58 years we are trying to make our food consistently good. 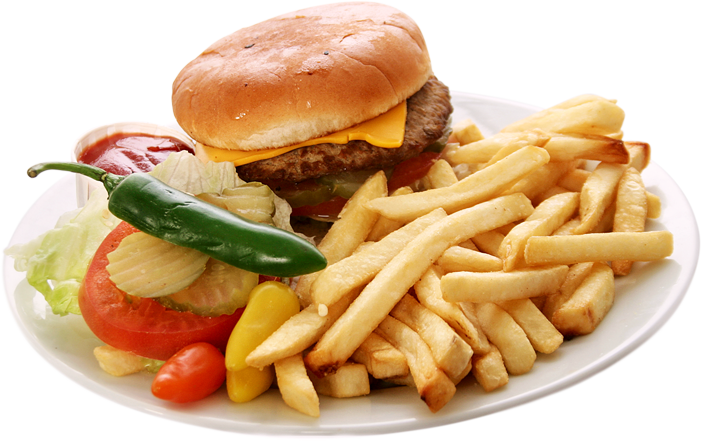 It is simple and straightforward classic burgers, hotdogs, pastrami sandwiches ,chile fries and a strong Mexican specialities selection. 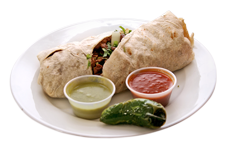 If you walked in off East Los Angeles streets to our place you will immediately find our menu to be reasonably priced, service to be quick, and a good fresh food. Since 1956 we use a very simple formula: always fresh ingredients, quality service and good value.The best fried chicken comes from Tom's Burgers. 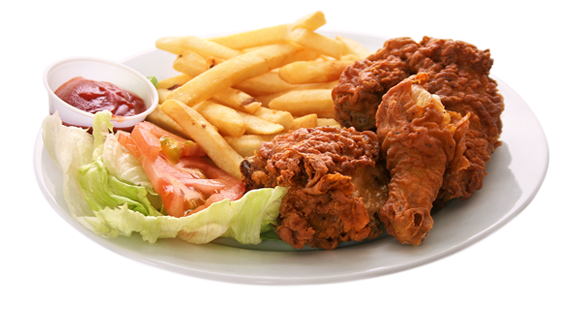 Our juicy, right flavored moist and crispy fried chicken become one of the most popular dish in the menu. Why wait try it now! 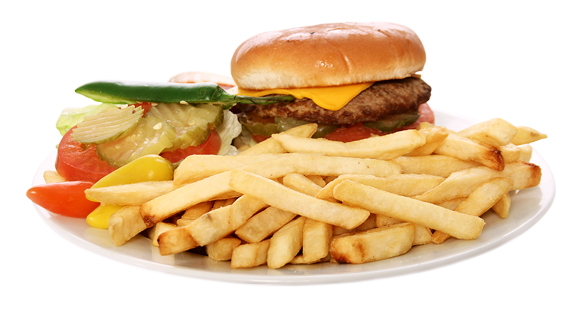 Our famous Tom's Burger always comes in first for a reason ! Our restaurant is legendary in East Los Angeles area for the fact that we been in business for more than 58 years and never use frozen meet, crunch buns are delivered daily. That means fresh ingredients, always. The 1/4 pound beef patty burger with home made sauce, lettuce, tomato, pickles and onion never disappoints. Just order spicy chilly pepperchino and you'll get a real winner ! Tom's Burgers is home of famous taco in East Los Angeles. 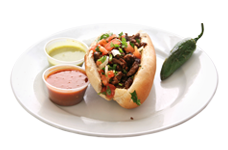 We are willing to bet that if you try any dish from our Mexican menu selection , you will find tortillas, carne asada tacos with home made salsa as good as you will find hot dogs and burgers! Toms famous tacos are so fantastic that many people would drive across town for them.We've been serving first class authentic tacos since 1956. The tacos are made fresh to order, so waiting few minutes in line is worth it. 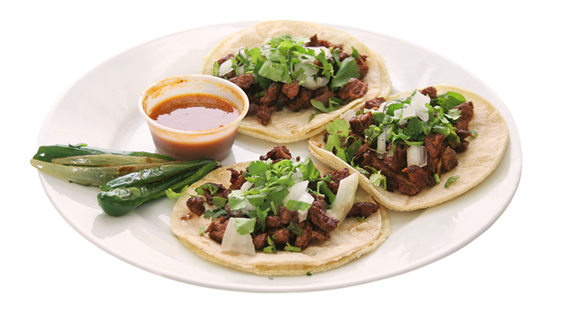 the tacos are prepared with fresh shredded beef and sliced lettuce in a freshly cooked tortillas. All our taco dishes are famous in satisfying any Mexican food lover !